Bruce Lee was a legend. He was a martial artist, philosopher, an actor and a filmmaker who inspired millions of people in their lives. 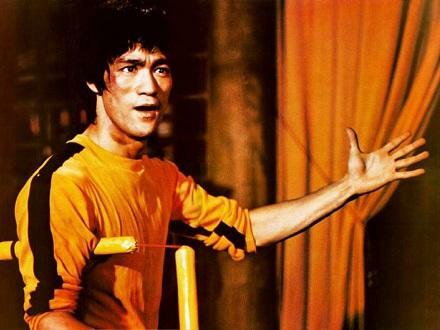 He was one of the most influential martial artists of all time and remains a pop culture icon to this very day. He was named by Time Magazine as one of the most influential people of the 20th century. Bruce Lee's quotes are not only inspiring, they are also thoughtful and impressive. Within these quotes, there are several life lessons we can all learn from. If you want to succeed, focus on the tasks you should do. Set up a distraction free environment when you're working. If you know that you will most likely get distracted by your smartphone, keep it in another room when you are working. Or disconnect it from the internet. We can't deny the fact that most of us have short attention spans, but, we can do something about it. Find a way to help yourself concentrate. Set a schedule for yourself to disconnect from the world and focus on the most important tasks at hand. Reflect on your life so far, how did you spend your time in the past? Doing things that are meaningful to you, things which add value to people around you or did you just procrastinate most of the time? I bet every single one of us is clear that we only live once, but how many of us really make use of our precious time wisely? Think about it, you don't want to waste the rest of your life doing meaningless tasks right? Starting from today, make good use of the time you have. Live everyday like it is the last day of your life. It might sound cliché, but it is true. We all know about the power of knowledge, as a wise man once said: “Knowledge is power.” But, often we forget that character, in some ways are more important than knowledge.